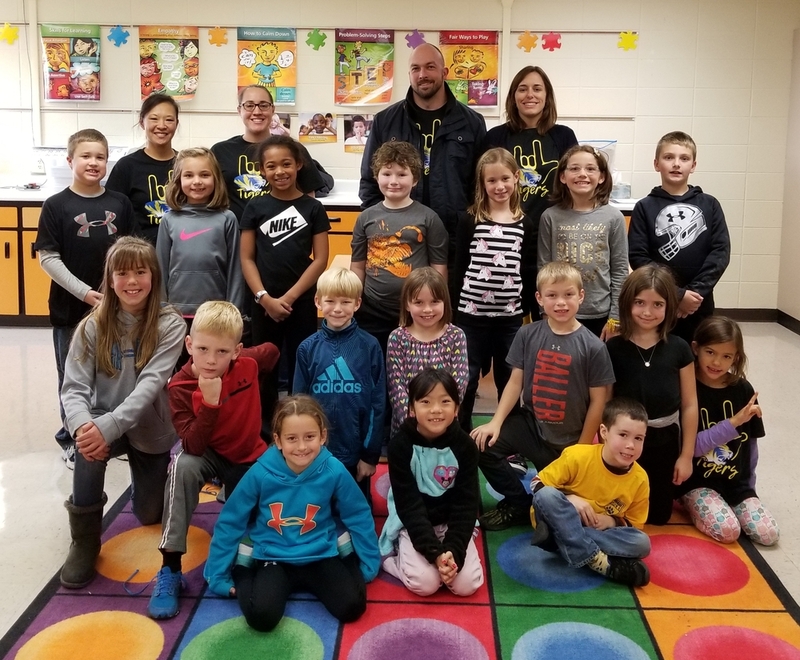 This fall, Silent Tigers Sign Club was offered to second graders at Northview. We had a wonderful turnout full of students who were enthusiastic about learning a new language and about Deaf culture. This six week club gave students the ability to learn the alphabet, numbers, colors, Pledge of Allegiance, outdoor and indoor play, feelings, holiday, and conversational signs. The students worked hard to stay engaged by keeping their voices off and communicating using only signs. We enjoyed watching them silently communicating with their friends and embracing the language. American Sign Language is labeled as an official language, and sign club gives students great exposure to learning a new language in a fun and exciting way. We were amazed by how quickly the students acquired the language, and then eagerly applied it throughout the school day. Students that participated in Silent Tigers were seen teaching their peers outside of sign club and communicating in sign language around the school. We are very pleased to have had such a successful learning experience for the students at Northview.